This past week we took a Spring break with our youngest son and grandchildren to the mountains of North Carolina. We had a wonderful time exploring the mountains and the quaint little towns found there. The beauty of those mountains is beyond me to be able to describe. If you follow me on Instagram I posted a few pics of our trip and what we enjoyed. 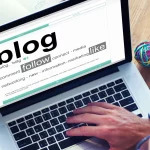 This week Tammy is hosting the party but I am writing the post for her as she had surgery yesterday. I am sure she would be thrilled with your prayers and sweet thoughts for her recovery. But before I get on with the party I would like to recap this past week on what we shared. 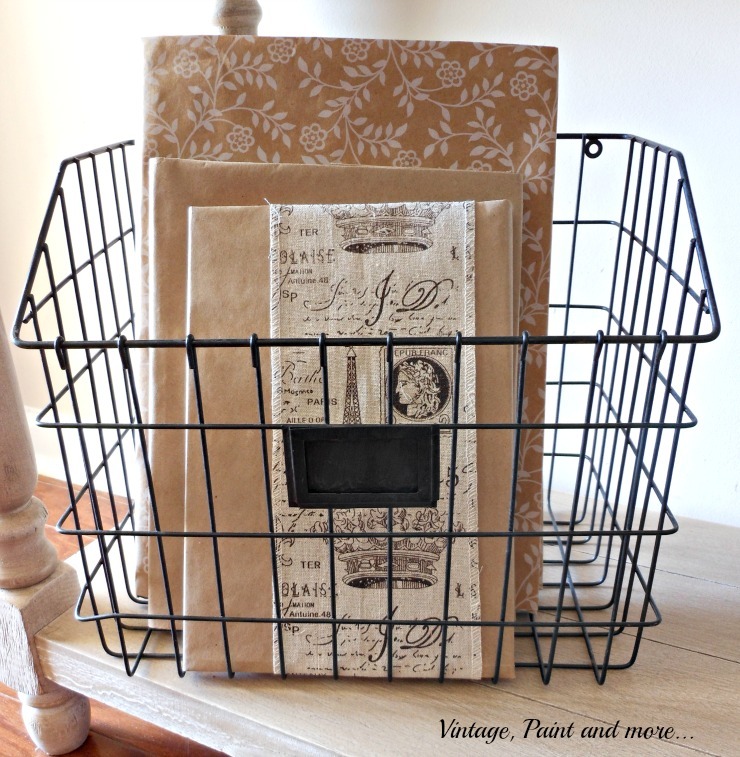 I shared a tutorial to make those vintage Book Jackets I use in our decor. 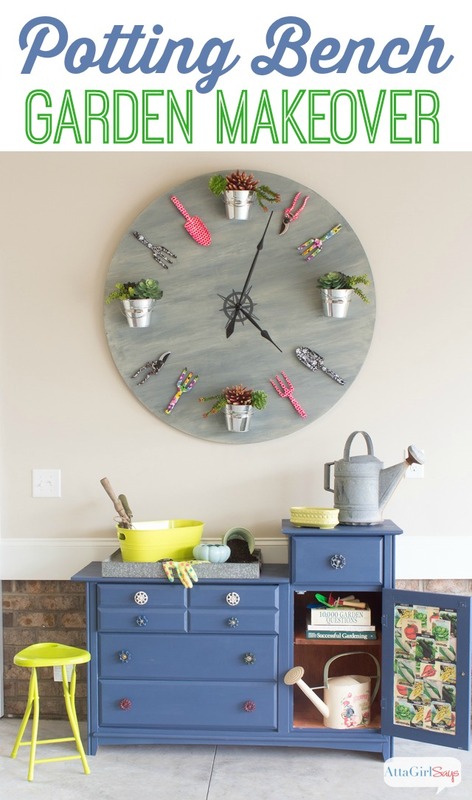 A simple way to make them part of your decor. 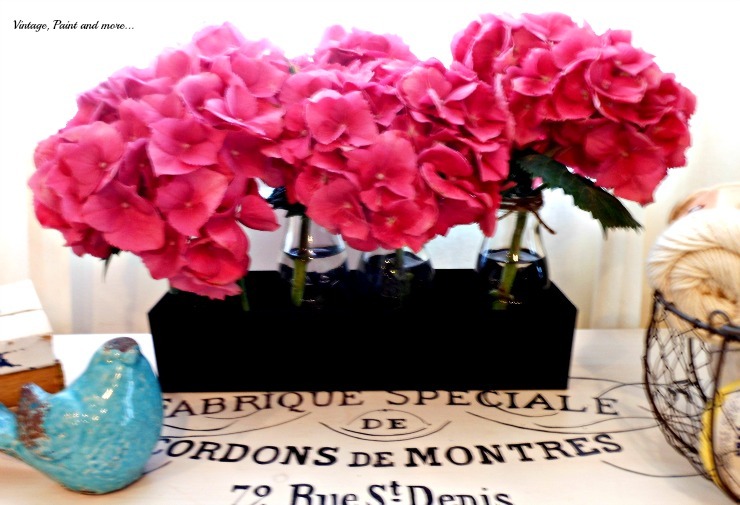 Then we got an unexpected freeze in our area so I had to bring our Hydrangeas in to protect them. This is how I used them in our decor. Tammy shared how to make a Spring Butterfly and Hummingbird Garden so you can have those most envious of spring creatures buzzing around your space.I can't wait to start ours. So let's get on with the party and this weeks features. Tammy was the host this week and picked all these great features. So without further ado lets see what she chose. First up she chose Simply Vintageous beautiful Birdhouse Spring Mantel. 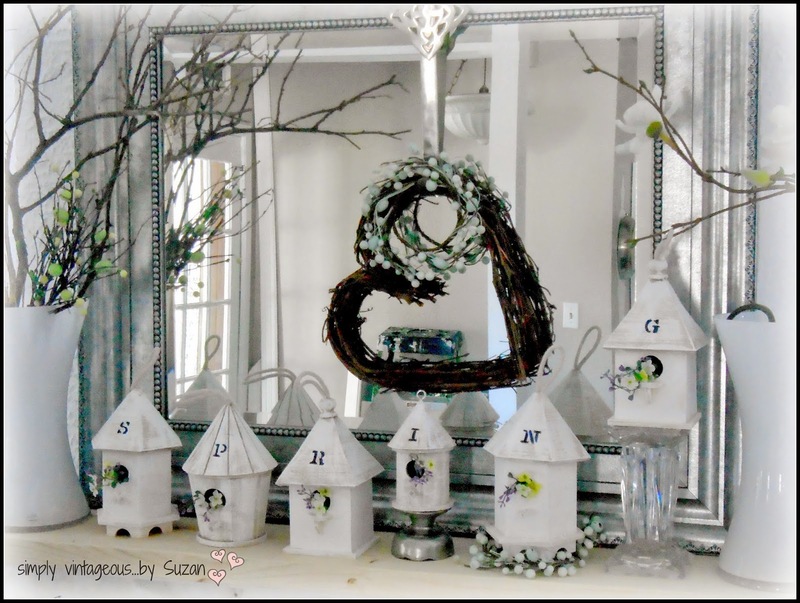 I love birdhouses and these are definitely swoon worthy. 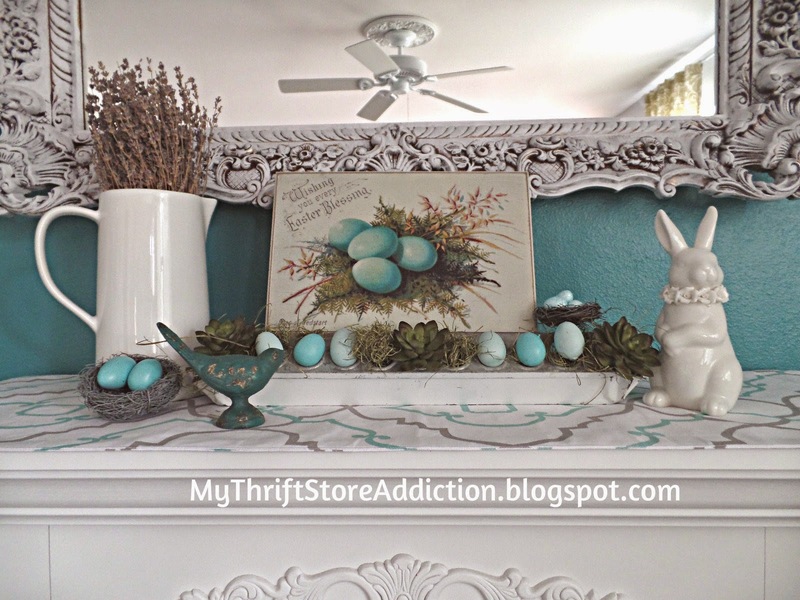 My Thriftstore Addiction also put together one gorgeous mantel using a chicken feeder and those gorgeous blue eggs and postcard - amazing. Better in Bulk shared her Chunky Bunnies. She also gives us a wonderful tutorial to make our own. I will be scrounging around my hubby's leftover pieces of wood this week. Atta Girl made a gorgeous potting bench for the Chic Chateau show house. What a great transformation - would love to have this on my back porch. Chocolate and Sunshine updated her back deck and what a wonderful transformation she did. I am ready to go join her for a wonderful afternoon there. 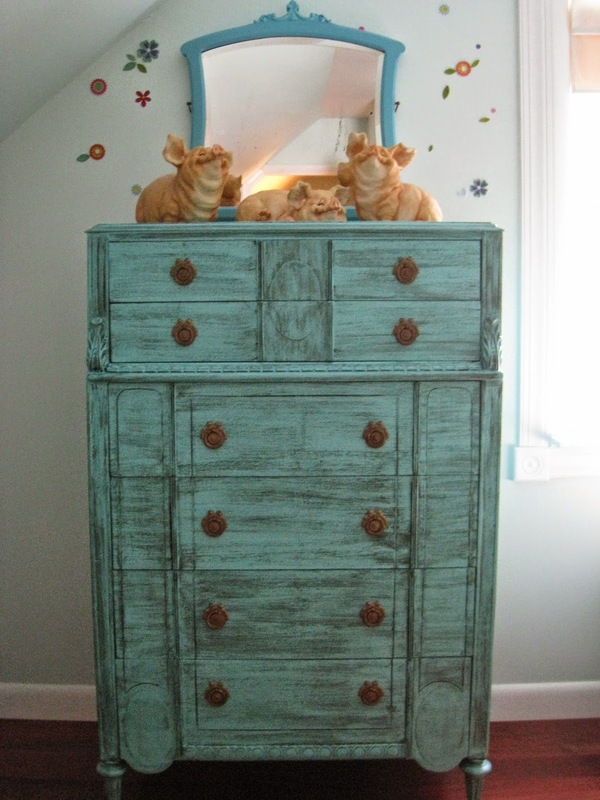 You won't believe the before of this gorgeous chest Repurposed 4 Life did. What an awesome redo. 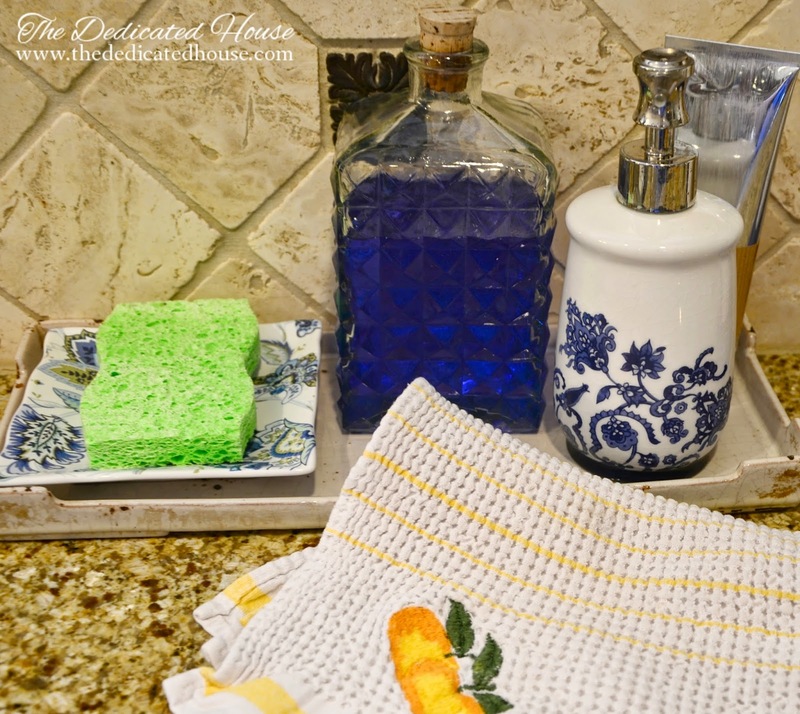 Clean and Scentsible shares her beautiful spring and Easter decor ideas. 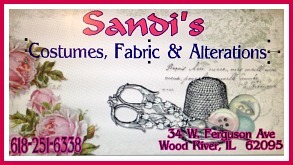 Go over and check out all those beautiful vignettes she has put together and be sure to stop by her spring cocoa bar. The Dedicated House put together this very pretty kitchen station. I think I need one in mine now. Wow, what a great collection of features. But you all knocked it out of the park this past week with your great projects. Can't wait to see what you all have been up to this week. Always so inspiring and fun. If you're new here the rules of the party are simple. Please include a text link back to this party within your post, this is not a requirement, but we would love it if you did. BYOP (bring your own projects) and have some fun visiting the others. 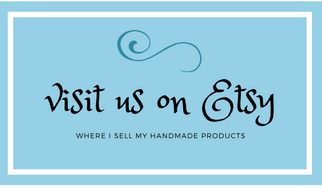 By joining the party you give One More Time Events and Vintage Paint and More permission for your projects to be featured, and/or shared on Twitter, Facebook, Pinterest, and G+. Can't wait to see what you bring to this weeks party!